House Speaker Will Weatherford is developing a new plan that could provide cover for Republican House members reluctant to expand gambling as the Legislature takes up the thorny issue during the upcoming session. Weatherford wants to put a constitutional amendment on the 2014 ballot that would let voters decide if they should weigh in on future expansion of gambling. The proposal, still being developed, would set in stone any changes lawmakers agree to during the 2014 session and require statewide approval of any future gambling expansion. Like other constitutional amendments, the proposal would require 60 percent approval by voters to pass. Weatherford said it’s part of the “holistic look at gaming” the Legislature is undertaking that includes a swath of issues from casino-style resorts to blackjack at South Florida tracks to getting rid of greyhound racing altogether. “I have become over the years very concerned with the drip, drip, drip expansion of gaming that’s taken place in the state of Florida. I am certainly warming up to the idea of having a constitutional amendment that would require all future expansion to go before the voters. I’m very, very intrigued by that concept,” Weatherford, R-Wesley Chapel, told The News Service of Florida on Monday. Weatherford’s proposal would be linked in theory to a comprehensive gambling bill that could include a rewrite of the state’s gambling laws and regulations, the creation of a gambling commission and, possibly, a kitchen-sink of elements sought after by existing race tracks and frontons as well as destination resorts coveted by out-of-state casino operators. Rep. Richard Corcoran, R-Land O’Lakes, is leading a group of conservative Republicans backing the idea of the constitutional amendment. House Select Committee on Gaming Chairman Rob Schenck, R-Spring Hill, is Weatherford’s chief negotiator on the sweeping gambling legislation. The possibility that 2014 could be the last opportunity for the Legislature to sign off on gambling changes without a statewide referendum intensifies the gambling industry’s push to have myriad issues resolved during the upcoming session. 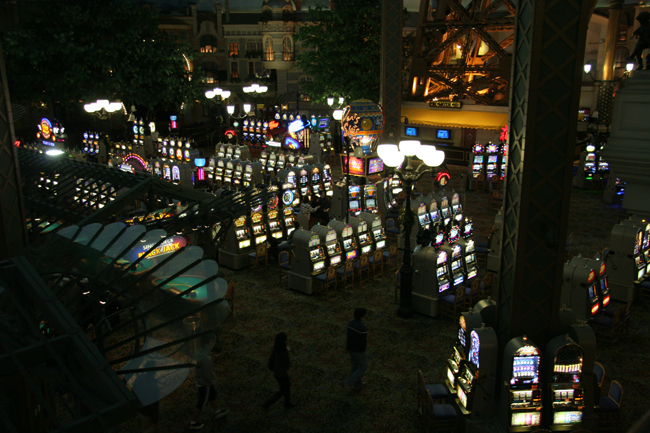 “There’s no question that if everyone believed any future expansion after the 2014 session required a statewide vote, all the gaming interests would do whatever they could to try to include anything they could in the comprehensive legislation,” said lobbyist Nick Iarossi, who represents Las Vegas Sands, one of the casino operators pushing lawmakers to approve at least one convention-style hotel and casino in Broward or Miami-Dade counties. An overhaul of the state’s patchwork quilt of gambling laws would likely rein in regulators at the Division of Business and Professional Regulation who have approved a variety of controversial practices such as barrel racing. The bill may also include an effort to buy back or revoke dormant licenses and stop pari-mutuels from using licenses at one facility to operate card games or other activities somewhere else. And it could include lower tax rates for the pari-mutuels in Broward and Miami-Dade counties. But enshrining the new laws so quickly into the constitution could be problematic. For example, the gambling package is also expected to address problems with a new law banning Internet cafés now being challenged in court by senior arcade operators. “You’re going to reform 100 years of pretty poorly-written law. And then on top of that you’re going to say this is it and any changes require a constitutional amendment so we better be right. There won’t be a tweak in the statute to fix things down the road. It’s a great theory. It makes a lot of sense in theory. I worry about some unintended results. We just have to make sure whatever passes this year is done well,” Ballard said. Senate Gaming Committee Chairman Garrett Richter said he has heard of Weatherford’s constitutional amendment but not spoken with his House counterpart about it yet. “One of the things that became clear in the public hearings is that the voters want a referendum. So the distinction becomes whether it’s a statewide referendum or a local referendum. I’m not prepared to say where I would have a preference or not. But what did come through is that communities want to have a referendum ahead of an expansion of gaming in their communities,” Richter, R-Naples, said. The constitutional amendment should remain separate from the overall gambling package, Richter said. A lot of people go to other states and boat trips to gamble.. Why not keep those tax dollars in the state?? Our state needs the money! Gambling isn’t going anywhere, it’s about time to just embrace it, legalize and control it; somewhat. geeze. And, it would get rid of the grayhound racing! let the dogs be dogs.